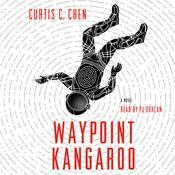 Set in the same world as Waypoint Kangaroo, Curtis C. Chen's Kangaroo Too is bursting with adrenaline and intrigue in this unique outer space adventure. The latest Audiobook in The Kangaroo Series is sure to grip listeners — whichever planet they happen to call home. On the way home from his latest mission, secret agent Kangaroo’s spacecraft is wrecked by a rogue mining robot. The agency tracks the bot back to the Moon, where a retired asteroid miner—code named “Clementine” —might have information about who’s behind the sabotage. Clementine will only deal with Jessica Chu, Kangaroo’s personal physician and a former military doctor once deployed in the asteroid belt. Kangaroo accompanies Jessica as a courier, smuggling Clementine’s payment of solid gold in the pocket universe that only he can use. Jessica won’t explain why she met the victim in secret or erased security footage that could exonerate her. To make things worse, a sudden terror attack puts the whole Moon under lockdown. Now Kangaroo alone has to get Clementine to talk, clear Jessica’s name, and stop a crooked scheme which threatens to ruin approximately one million vacations. 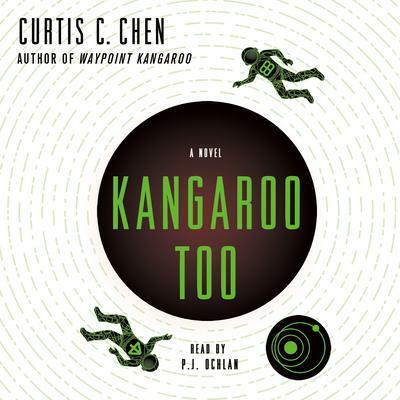 Curtis C. Chen graduated from Viable Paradise (instructors included New York Times bestselling author John Scalzi) and attended Clarion West (instructors included World Fantasy Lifetime Achievement winner John Crowley and Hugo/Nebula winner James Patrick Kelly). His short fiction has appeared in Daily Science Fiction and SNAFU and will be featured in Baen’s Mission: Tomorrow. On top of all that, he’s a former software engineer and once built a cat feeding robot. He lives in Vancouver, Washington.